I am concerned about information presented in Lori Culbert’s March 19 article “Flipping on the rise, but still a small portion of sales.” The article listed the “top 10 most lucrative house flips.” Our analysis through the MLS® system found that seven of these ten homes were not “flipped,” but instead rebuilt and re-sold. In some cases, a laneway house was also added to the property. The implication that these homes were re-sold as-is for a quick profit is false and it misleads your readers. The Real Estate Board of Greater Vancouver, and the 12,500 REALTORS® we represent, encourage an open public discussion about today’s real estate market. We believe, however, that the information that informs this discussion must be presented factually and in proper context. 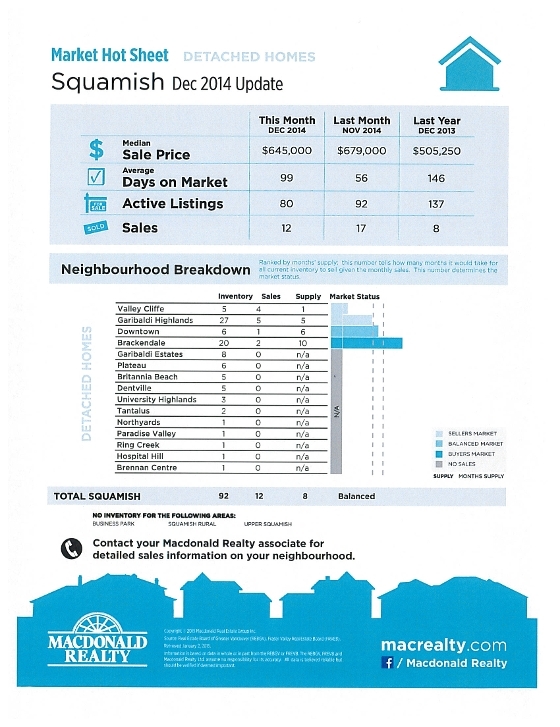 Below are statistics for Squamish, comparing the real estate market for Decemer 2014 to November 2014 and December of the previous year. 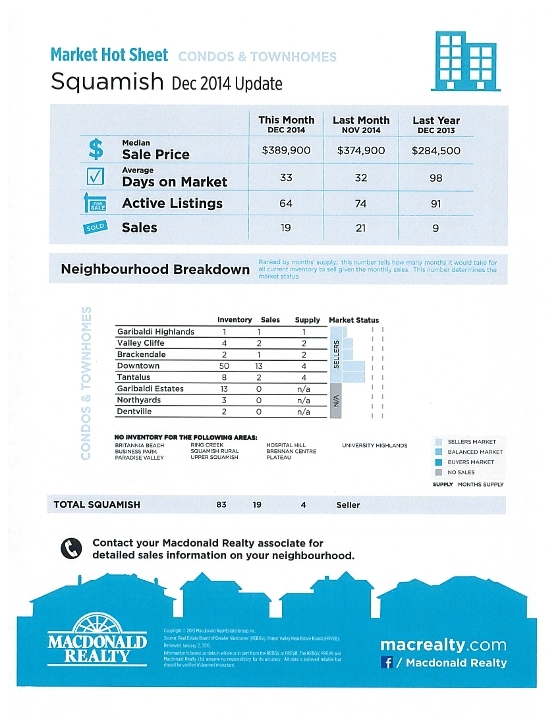 As you can see, inventory levels are lower, making it a Seller's Market. We do, however, expect more inventory to come on stream in the spring.